Patio space can be used year around with an outdoor heating fire pit. 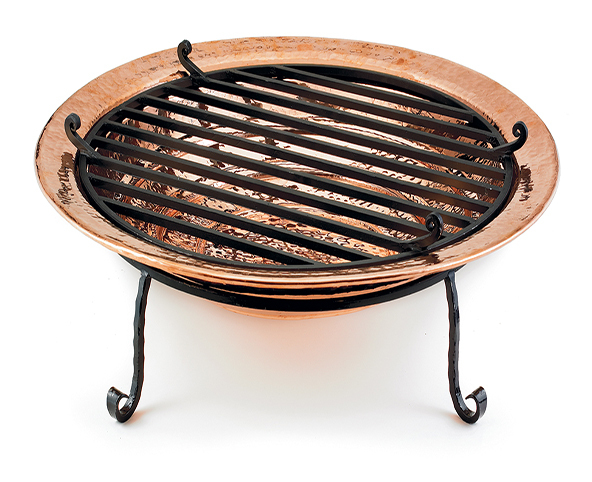 Fire pits are made from cast iron and hold the heat for a long time. Artisan Kraft fire pits come in a bowl shape also. The Bowl Pits are larger and add not just heat but also decor. Get one with a star ⭐️ night lid. It will glow as the fire burns inside. Most come in a black color with a black domed screen lid. This allows you see the soft glow of the fire in if the screen is on it. It also allows the heat to get out while stopping some of the larger more dangerous embers from escaping. A copper like finish is another option. Gold or a bronze trim is also available. 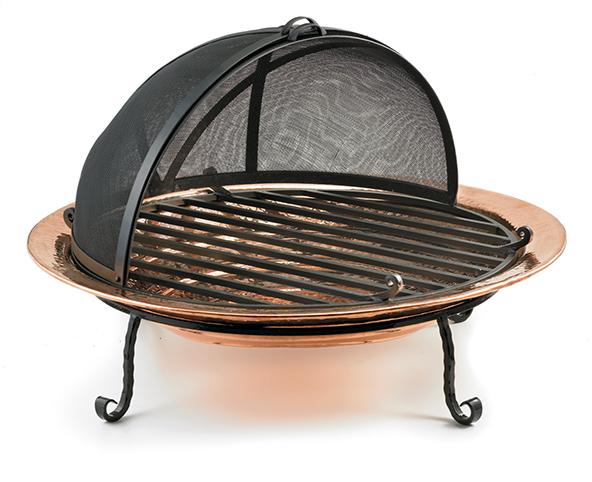 Buy a fire screen copper polished fire pit here on this website. Artisan Kraft sells them in large and small sizes. Find one that fits the backyard patio space that you have available. The materials that these are made of will make sure that they last you a long time. 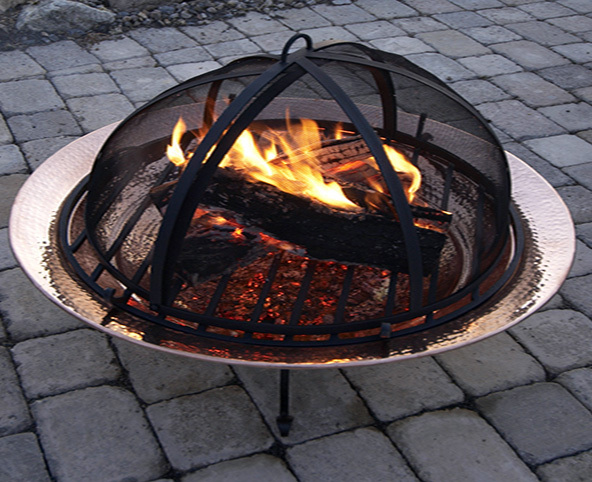 You will get many uses out of the firepit that you purchase from Artisan Kraft. Burn real wood or coals inside to warm up the outdoors on a cool fall night. Find more reasons to stay outside longer and later in the year with these great outdoor heating items. Shop for other great patio items. Torches are another great way to add light to the backyard. Weathervanes are a fun way to see which direction the wind is blowing. We are adding new items all the time. Like rain chains and mailboxes. Buy from us today and receive your items in a short time. We ship and deliver all over the United States. Having worked with builders, home owners, designers and architects to name a few, we are ready to help you purchase the perfect heating item for your home or work space.